Each year, thousands of people break their noses. The most common cause is trauma, which often stems from car accidents, fights, sports injuries and falls. 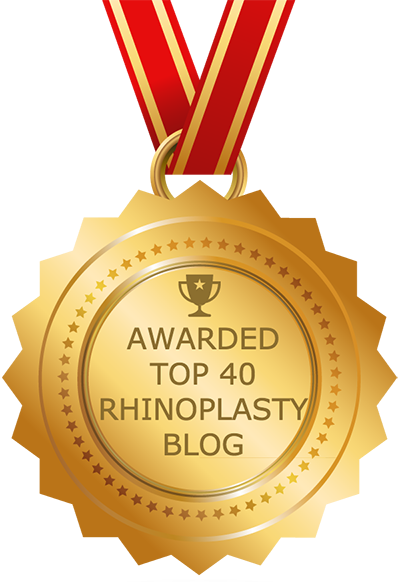 Rhinoplasty is often necessary to repair a broken nose. A broken nose may consist of one or more fractures; the techniques used to correct them will depend on the specific injury type and location, what part of the nose is broken and other factors. If the procedure is performed within 10 days, the nasal bone can usually be reset. If not, it is sometimes necessary to wait three months or longer. Any reconstructive surgery that may be required will have to wait until the swelling subsides. If you have broken your nose, it will likely be swollen and may appear crooked. Bleeding is common and can be controlled with over-the-counter nasal spray such as Afrin. Difficulty breathing, a discharge of mucus and blocked airflow are other symptoms of a broken nose. Although bruising often accompanies a broken nose, it is not necessarily a sign of a broken nose. Any trauma to the nose and surrounding area can cause bruising. One of the most common complications arising from a broken nose is a deviated septum, which can lead to restricted airflow and difficulty breathing. Other potential complications from a broken nose (or deviated septum or septum fracture) include recurrent epistaxis (nose bleeds) septal hematoma (or nose hematoma), damage to breathing structures and the physical deformity of a broken or fractured nose. Rarely, damage to the nasolacrimal duct or tear duct can produce excessive tearing. Breathing and sleep problems, as well as a crooked or altered appearance, can also occur if the nose does not heal properly. In this case, further surgery may be required. If you have both broken nasal bones and a deviated septum, they may need to be repaired at the same time. Failure to have the nose reset can lead to a crooked nose. The first thing to do after breaking your nose is to apply an ice pack to alleviate soreness and swelling. Next, it is important that you see a doctor as quickly as possible after your injury. If your doctor is unavailable to assess the condition of your nose, you may need to go to an urgent care or emergency room. Depending on the diagnosis, you may be referred to an otolaryngologist (ear, nose and throat doctor) or facial plastic surgeon for further analysis and treatment. These specialists have expertise relating to the nose and will be able to determine the best course of treatment. Among other things, your nasal specialist will check for the presence of a septal hematoma — a collection of blood under the skin lining of the septum that can cause infection and destroy the septal cartilage, in turn leading to a deformity called a saddle nose deformity. A broken nose may consist of one or more fractures. The techniques your surgeon uses to fix your nose will depend on how many fractures there are, their location and many other factors. Some people are unhappy with the appearance of their nose even prior to breaking it, and therefore opt to have cosmetic rhinoplasty in addition to reconstructive surgery. That being said, any surgery to fix a broken nose will take into account the appearance as well as address functional issues. Usually, small internal incisions are made and the surgeon accesses the obstructive, deviated and/or damaged tissues and structures. He or she may use 3D imaging to get a better view and minimize trauma as well as recovery time. Tiny instruments will be used to manipulate and alter the nasal tissues and structures as needed. If necessary, cartilage grafts may be used to provide extra support in areas that have been damaged. During the first 10 days, it may be possible to reset the nose with a closed rhinoplasty procedure, which involves only internal incisions. If more time has passed, it is more likely that more involved procedures such as septoplasty will be needed. It should be noted that tip fractures are much less common than damage to the septum and surrounding nasal bones. If you do notice a deformity in the tip following an accident, it may be that the tip cartilages are displaced. In other cases, damage to the septum has caused the tip to droop. A fractured septum is usually twisted and will need to be reset. This is important not just for form but also function (i.e., breathing). Some patients will require spreader grafts to strengthen the cartilage. Again, it is important to remember that the nasal bone can be reset following the injury if the procedure is performed within 10 days. Otherwise, it is necessary to wait a few weeks to a few months, to allow the swelling to go down.